THE GATED COMMUNITY OF SCHNOOER COVE. Exceptional opportunity to own this 2 bedroom, 2 full bath with a one car garage. From the moment of entry, the high ceilings featuring crown molding make you feel you have entered into something special. Ideal for entertaining, the open floor concept demonstrates the beauty of the gourmet kitchen with 42” wood cabinetry, a built-in desk, espresso in color all complimented by granite counter tops, a mosaic backsplash and stainless steel appliances. Another bonus - the kitchen’s own storage pantry. Sit at the breakfast bar or dine in the dining room which is spacious enough for a dining table and buffet. Then retreat to the living room which is already wired for your giant screen TV and surround sound speakers. Schooner Cove is pet friendly. No need for the gym membership, it’s Clubhouse features a fitness center, an oversized pool, a spa and more. Schooner Cove, another fine development by D.R. 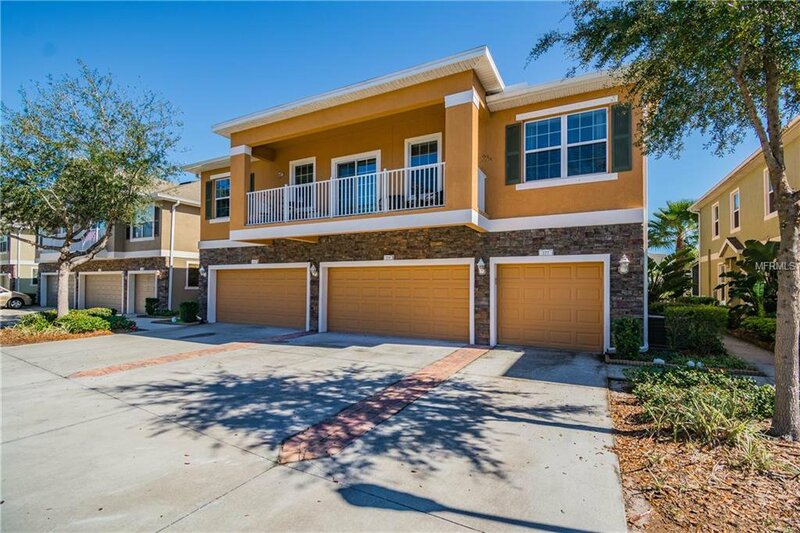 Horton is conveniently located in South Tampa minutes from MacDill Air Force Base. Listing courtesy of SMITH & ASSOCIATES REAL ESTATE. Selling Office: KELLER WILLIAMS REALTY.